This is the second guitar we have consistently built of local woods for the Holy Grail Guitar Show 2016. 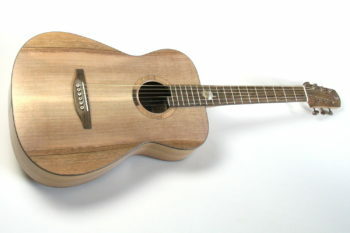 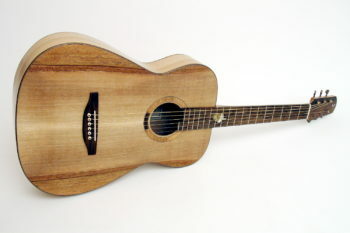 The body of this fingerstyle model with a 63 cm scale is entirely made of Walnut, that is, the top is made of Walnut too. 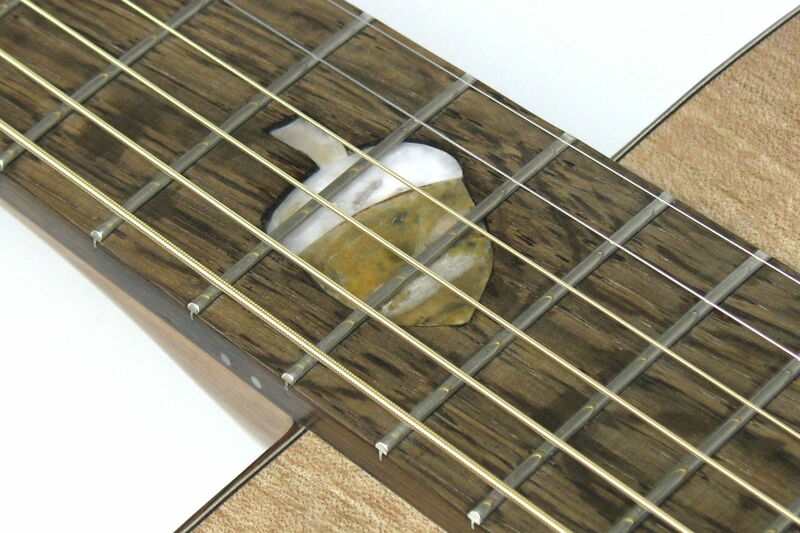 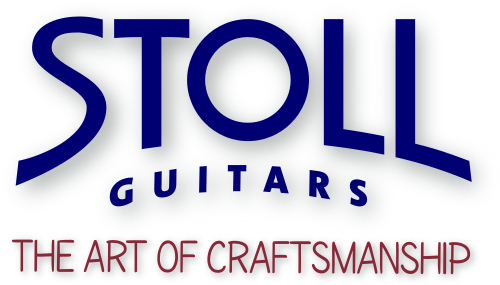 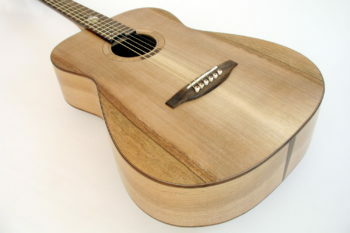 The goal of the Local Wood Challenge was to build a guitar entirely made of wood grown in the vicinity of the luthier. 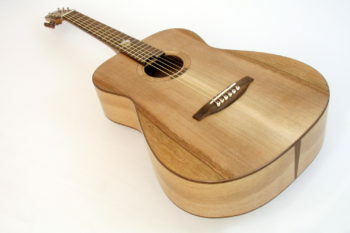 As tropical timber is becoming increasingly scarce and imports are increasingly regulated by trade restrictions, this is ecologically worthwile. 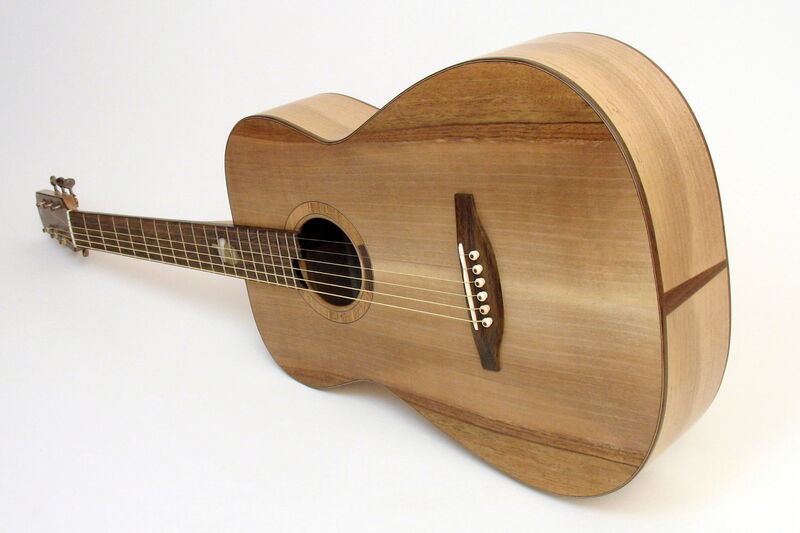 With these guitars, we are demonstrating that instruments made of local woods can sound and look as good as the ones made of tropical wood. For this Ambition Fingerstyle, we have chosen Walnut for back, sides and top, that is, back and sides are of spalted Walnut whereas the top is of "normal" Walnut. The neck is also made of Walnut.The wood originates from a neighboring village. 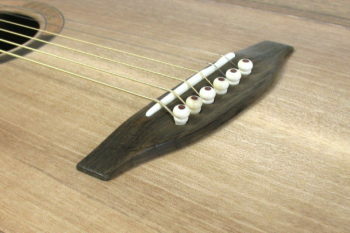  Fingerboard, bridge, bindings, tail wedge, headstock veneer and soundhole inlay are made of Bog Oak found in a swamp in Bavaria. Body shape and bracing are a slightly downscaled form of our top seller Ambition Fingerstyle. 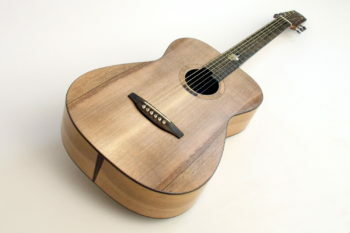 We felt that copper machine heads do fit very well with the colour of this Western guitar. 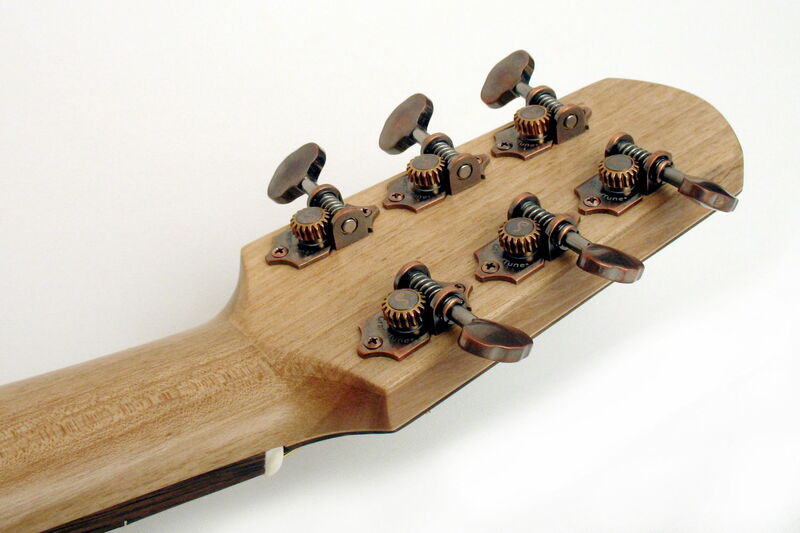 That's why we chose Grand Tune Vintage Copper Tuners by Schaller. We also provided the bridge pins with copper dots. 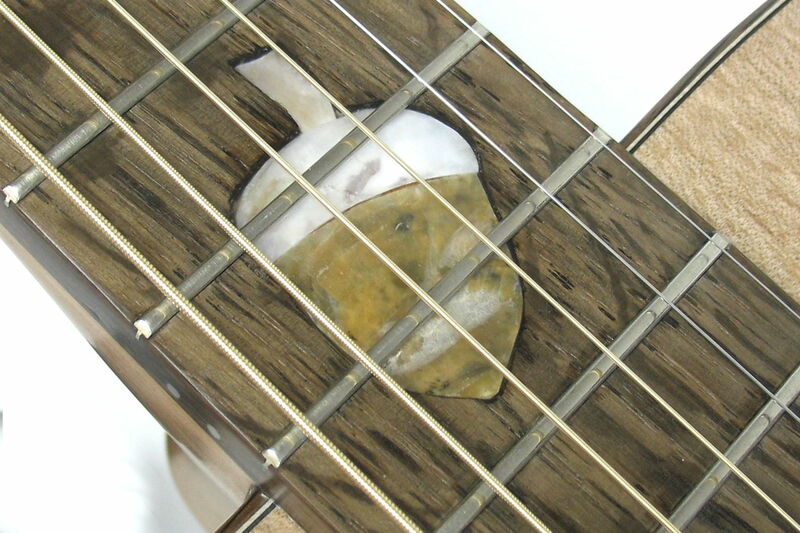 Even the acorn inlay is completely made of North Sea Oyster, which was handpicked by the master himself. 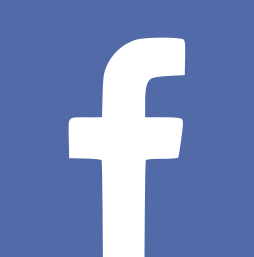 Thus we could also take account of the local concept and avoid long distance transports. 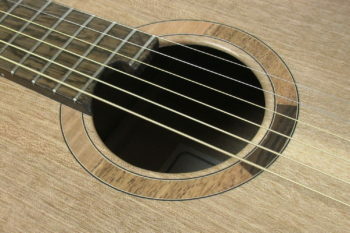 With a nut width of 46 mm and a scale length of 63 cm, it is ideal for the targeted purpose of fingerstyle blues, not least because of the neck-body-junction at 12th fret.The strings are, as usual, made by Elixir. Lightweighted, easy to play, quick response, our hallmarks were realized with this extraordinary fingerstyle blues guitar. The full Walnut body exudes a sense of solidity. As the tonal concept is based on full Mahogany guitars, it features a crisp and rootsy sound. 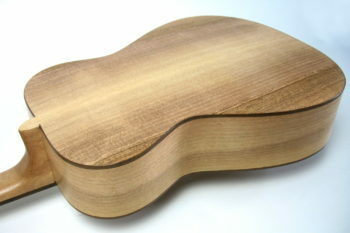 Like Mahogany, Walnut supports middle and low mid range very well. 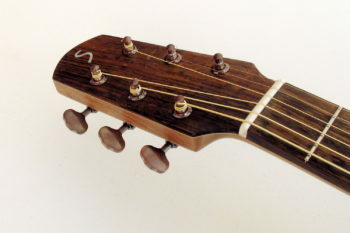 But while Mahogany slightly affects the treble in favour of these frequencies, Walnut surprises with an absolutely balanced sound. 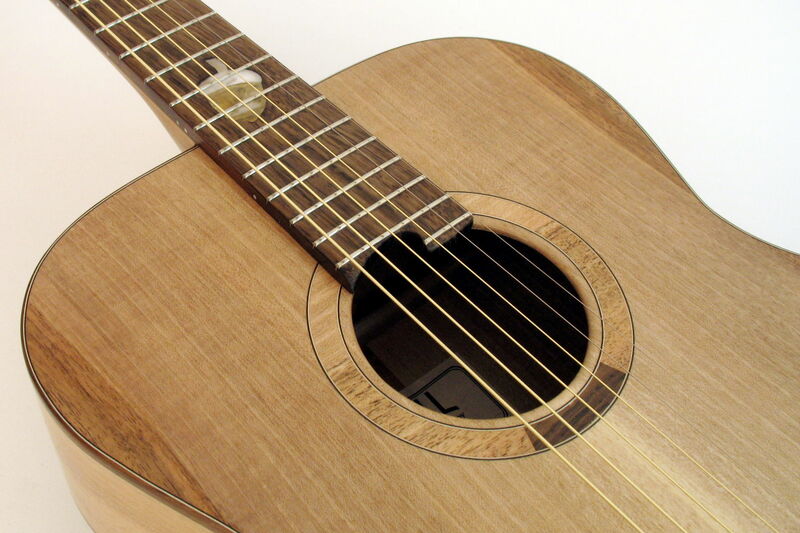 Effortlessly, powerful, concise, crisp heights respond to the lightest touch with an even more present articulation than Mahogany.